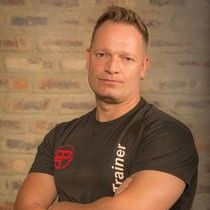 For the past 12 years of professional hands-on experience in the health, fitness & wellness industry, I've dedicated my time, effort, motivational & inspirational skills and passion to my clients by listening to what each individuals wants and needs are from the second they walk through that door until there goals are reached, ensuring they are 100% satisfied with their transformation at the end of their learning and life changing journey with me. Once completing your transformation, I'll make sure you are confident enough in continuing your lifestyle transformation/journey at any training facility because you've been trained to look & train like a true professional! - "It is like riding a bike. There is only one way!" There is nothing that inspires me more than helping people achieve their goals through my "Back-to-Basics" training modules. "It's more than just personal training." Bachelor of Science Degree & Honors - Human Physiology, focusing on exercise physiology - WITS University. Vicky is a Certified Crossfit Level 1 Instructor as well as a Personal Trainer. 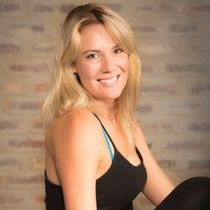 As a Mother of three she is extremely passionate about Fitness for Women and Children. 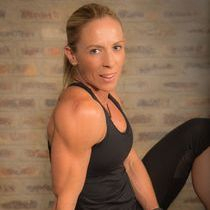 She specializes in training for strength, weight loss, and functional fitness, finding exceptional joy in helping people reach both their physical and mental goals. Vicky enjoys various formats of exercise such as Crossfit, Cycling, Strength Training but truly loves both Trail and Road running. She believes that maintaining a healthy mind and body is a key component for total wellness. Vicky loves to do research on the ever changing trends in the Fitness Industry, always making sure that training remains focused yet continuously enjoyable.